What do you do when you get a rosemary Christmas tree and have an overwhelming amount of rosemary? Well, find as many recipes containing rosemary as you can and have at it. It really is the perfect spice for this time of year. We have made countless batches of our Zesty Trail Mix already and are on the the next best thing: mimosas. 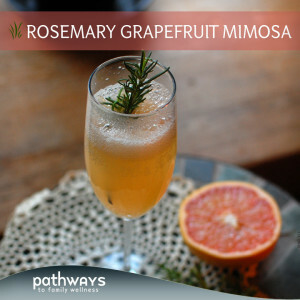 I have seen numerous recipes using rosemary and grapefruit together and was always a bit skeptical. Using an herb in a drink? That is risky business! But then I thought, why not? Grapefruit mimosas are preferred over orange juice in my mind, so throwing in a wintry aroma seems like just the perfect addition. No added syrups in this recipe; we let the natural sugars from the fruit do the talking. Little work on your part, simply cook the rosemary in grapefruit juice for a couple minutes and chill overnight. In the morning, you will be ready to dish out some tasty mimosas, perfect for New Years brunch. *Make it kid friendly with grapefruit flavored bubbly water! 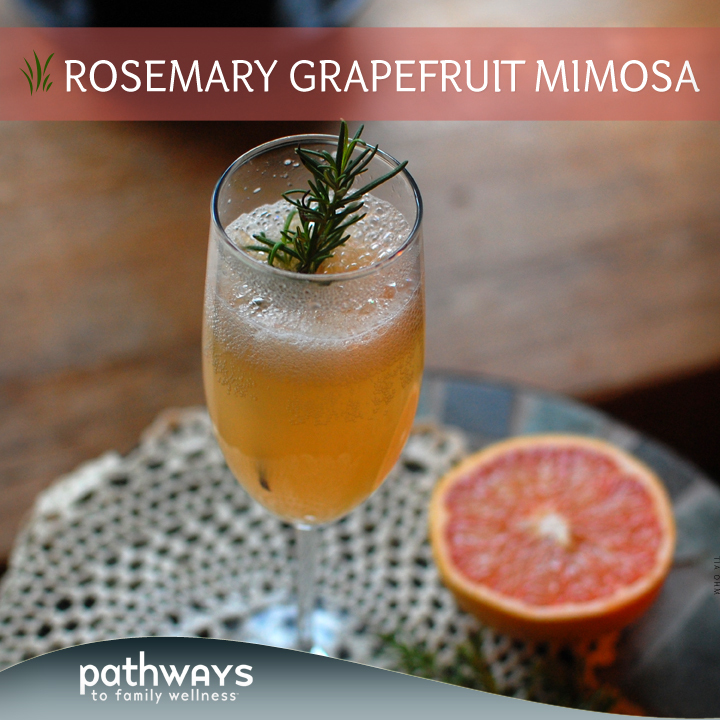 Combine grapefruit juice and rosemary in a small pot and place over low heat. Stir occasionally, and muddle the rosemary a bit to break it up. Simmer until the rosemary is fragrant; just a few minutes or so. Let your juice cool down and fill a champagne glass half full with it, straining out the cooked rosemary. 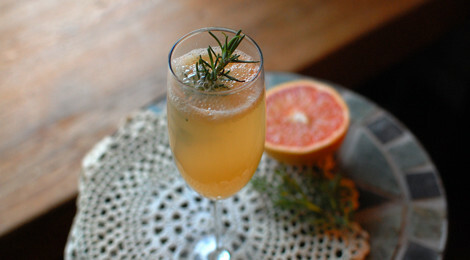 Fill the second half with champagne, garnish with an additional rosemary sprig and serve. Feel free to change up the ratio to your liking; we prefer half and half.